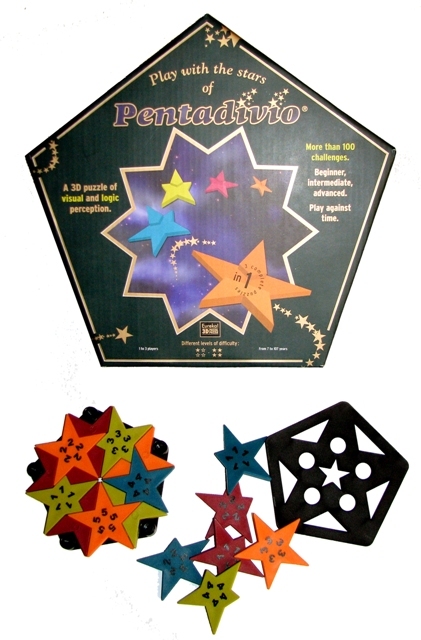 Play with the stars, and make your own, ten point star. To your help you have ten five point stars. The game includes 100 different challenges and has three different levels of difficulties from "beginner" to "expert". Suitable for 7+ ages. Level of difficulty 1-4/4. Watch Pentadivio's own video on YouTube here. This product was added to our catalog on 30.06.2008.